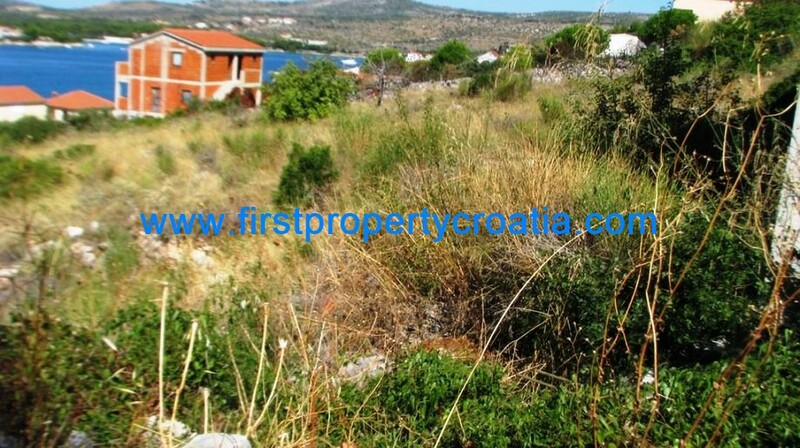 RG1076IV – A large piece of building land for sale Rogoznica is situated just 100m from the wonderful blue sea in a superb location with fabulous sea view. 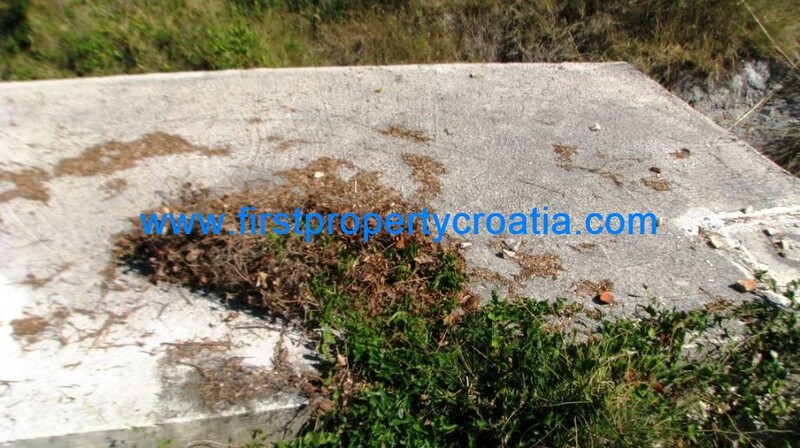 This land has a total area of 750m2 and it has direct access to a paved road. It also has access to electricity and water connections, which is a significant advantage. 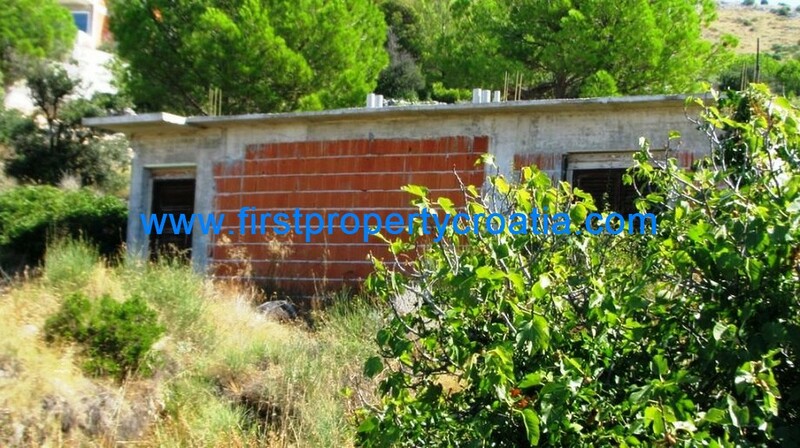 It has a rectangular shape, ideal for building a spacious villa or a family home with a swimming pool and sun deck. If you have business aspirations,it could be the ideal location for a restaurant with a nice outdoor dining terrace or a small apartment building or hotel with a parking lot and a swimming pool. Tourism is a very lucrative business in this area and could be a great way to generate profit from this investment. Due to the fact that the terrain is somewhat elevated and oriented towards the south any property on the land will enjoy fantastic, open sea views and views of the marina. 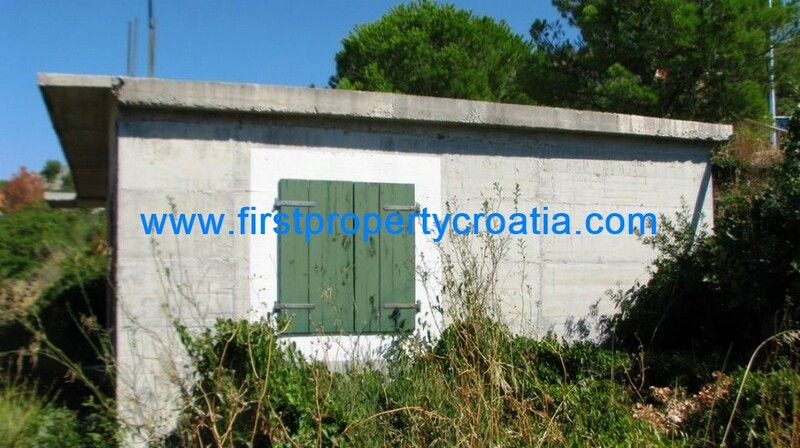 The building land for sale Rogoznica is surrounded by a wonderful pine tree forest and lots of greenery, which provides privacy and quiet surroundings ideal for a relaxing holiday far away from crowded tourist attractions and busy towns. The land contains a small, 30m2 object currently undergoing a legalization process. Rogoznica is a renowned tourist destination with everything necessary for a memorable vacation: excellent bars and restaurants, wonderful sea and beaches, shops and numerous sights. Thanks to all this, this is a great investment opportunity that you cannot miss!